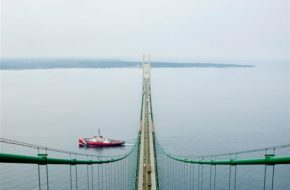 Have a flag flown aboard the Mackinaw! 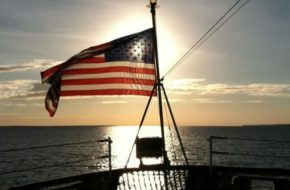 An American-made 3’x 5’ National Ensign will be flown aboard the Mackinaw WAGB83. The flag will be accompanied by a Certificate of Authenticity naming the person the flag was flown in honor of and the date that it was flown. If you choose, a photo will be emailed to the address of your choice. 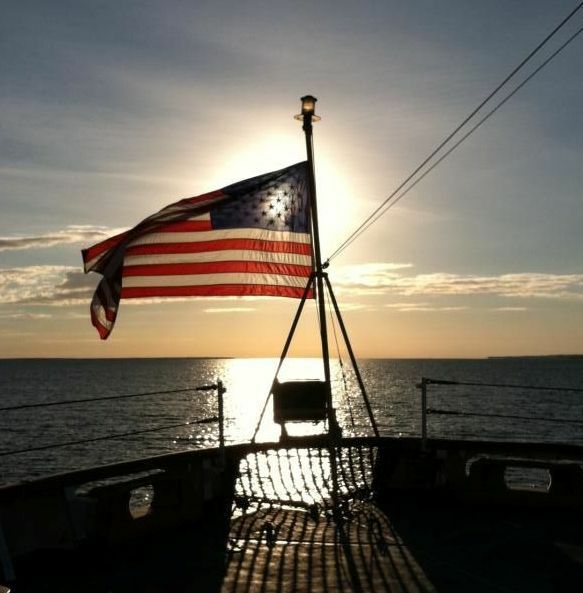 Flags can be flown on the date of your choosing between May 1 and October 15.
call 231-436-9825, email officemanager@themackinaw.org or download a mail-in form Fly-a-Flag Order Form.